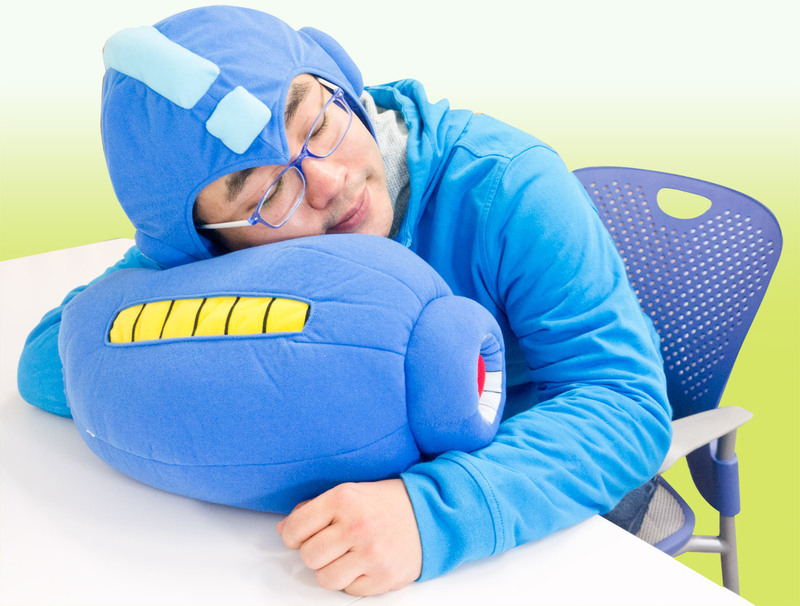 Because the merchandise train never stops, the E-Capcom store will be receiving a little something to rest your head on. Introducing the Rock Buster pillow; a comfy weapon of mass destruction that also doubles as a nice cosplay accessory. E-Capcom will be shipping these out in July, bundled with a nice helmet cap. It's the same one Ucchy wears! For those living outside Japan, I'd like to remind you we have two similar products on our shores. Though they may not look as comfortable, GE Entertainment's buster and helmet cap are a lot more affordable. E-Capcom's set will run you 6,090 Yen (roughly $65)! I don't know, I'm not really one to mind paying more for quality. The GE set was nice, don't get me wrong, but this set really has the shape down pat, especially the helmet. If Capcom Unity offered it on our shores with a Mega Man branding, I'd seriously consider picking it up.